Aprilaire's Wi-Fi thermostats provide homeowners with complete control of their heating and cooling systems. Wi-Fi thermostats enable you to control your humidifier, dehumidifier, air cleaner, ventilator, A/C and heater all from one programmable thermostat. 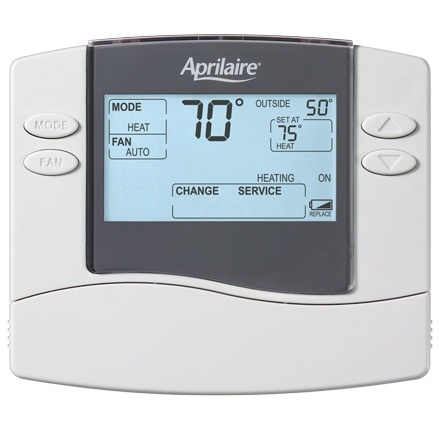 A. Borrelli can install Aprilaire thermostats in your home to give you the exact comfort you want. Click here to return to the Aprilaire product page. A. Borrelli is here for you day or night. Call us today for all of your heating, air conditioning & plumbing needs. © 1981-2019 A. Borrelli Mechanical. All Rights Reserved.